Attorney Brian Elston is honored to be named to the 2017 North Carolina Super Lawyers Rising Star List. A “Super Lawyer” is a distinguished group of attorneys from around the state honored each year for their expertise in various areas of the law. No more than 2.5 percent of attorneys statewide are selected annually for Rising Stars. Brian Elston credits the nomination based on a determined legal approach that also earns the respect of his colleagues. 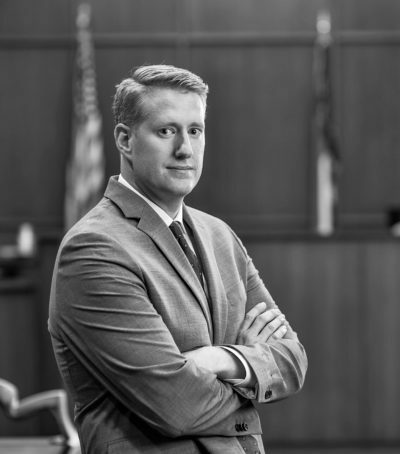 Brian has appeared in over 35 counties, district and superior court, in federal court, and the NC Industrial Commission. Opposing counsel recently summed up his approach by stating that when he sees Brian on the other side, he checks his file one more time just to make sure he’s not missing anything. Brian represents individuals in workers’ compensation, personal injury and civil litigation matters. His focus is advocating for clients damaged due to the negligence or wrongful acts of another. Brian Elston Law is located in Asheville and accepts referrals in the fields of workers’ compensation.